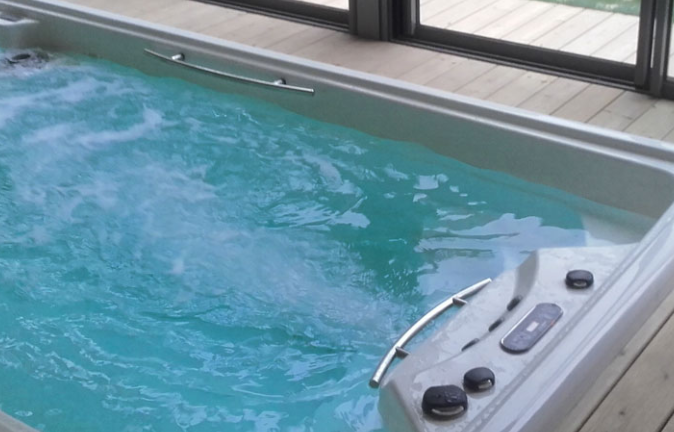 In addition to being a year-round swimming pool, the Swimspa Amazon has an impressive performance thanks to its high-powered technical equipment developed and manufactured exclusively by Aquavia Spa. 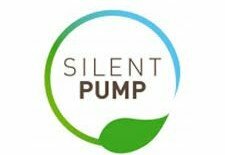 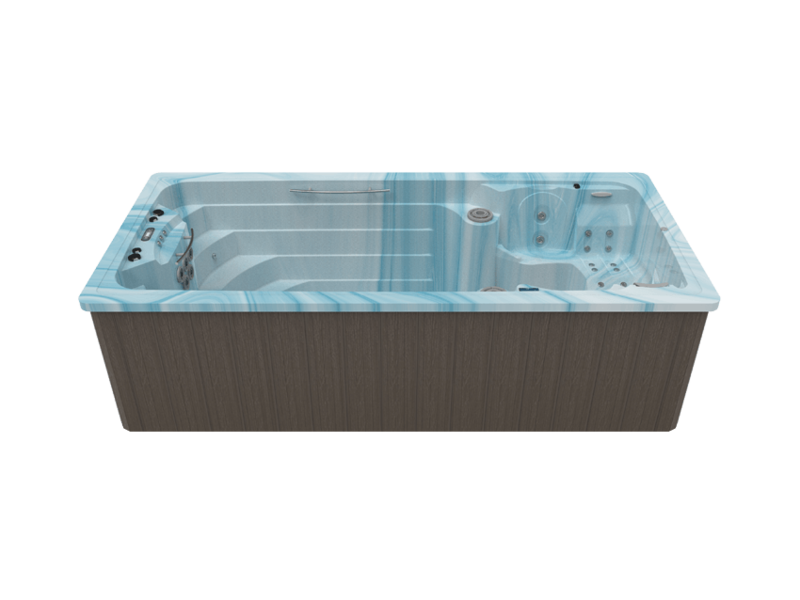 Its triple hydromassage pump guarantees maximum massage quality in its three seating positions, one of which is an ergonomic lounger with comfortable headrests. A total of 26 hydrotherapy jets provide relaxation, muscle stress relief, or prepare the different muscle groups for toning. 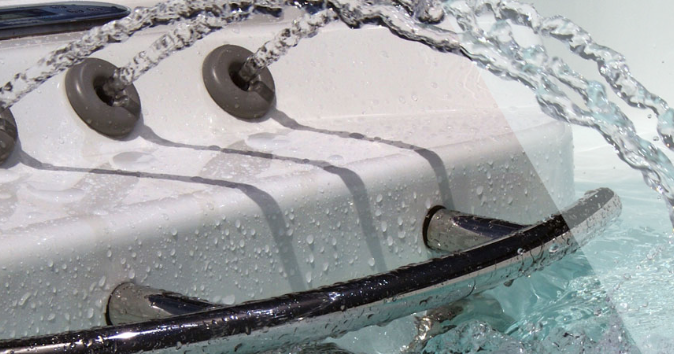 For the most demanding users who know no limits, this Swim Spa has a wonderful range of hydromassage features, achieving a powerful massage through jets that inject the water from a triple hydrotherapy pump. 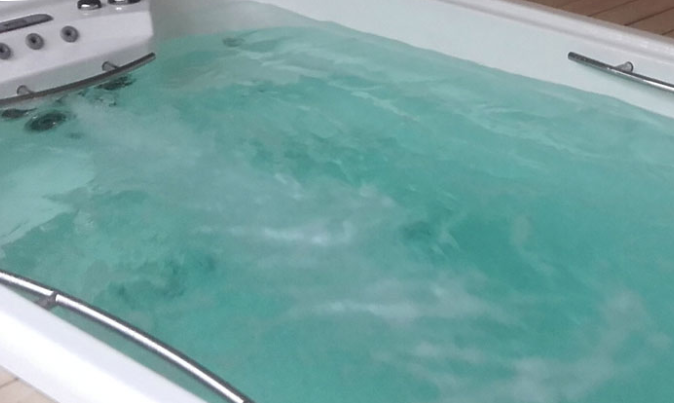 Buying a swimspa is a great choice for staying fit, or simply for focusing on your health, wellness and quality of life from your own home. Weight of the hot tub: (empty/full): 1.177 / 9.677 Kg.